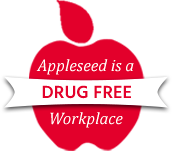 Appleseed Personnel | Appleseed Personnel is a full service staffing firm serving all of Central MA. Welcome to Appleseed Personnel Services, Inc.
Appleseed Personnel is a full service staffing firm serving all of Central MA. We are locally owned and operated and committed to our community. Started in 1984, Appleseed has remained under the ownership of one family with firm ties to the area and a belief in local business to business dealings. We specialize in temporary help, temp to hire and direct placement. Our knowledgeable staff is happy to speak with you about which options best suit your staffing needs. We look forward to assisting you with all your staffing needs.